On Viktoria, their 14th album, long-running Swedish black metal masters Marduk continue along the well-trodden path set by the preceding Frontschwein. That is to say, the concept of the album deals with facets of World War II. Marduk have said they have used the history of the war to not only frame the lyrical concepts, but also to inform the songwriting. 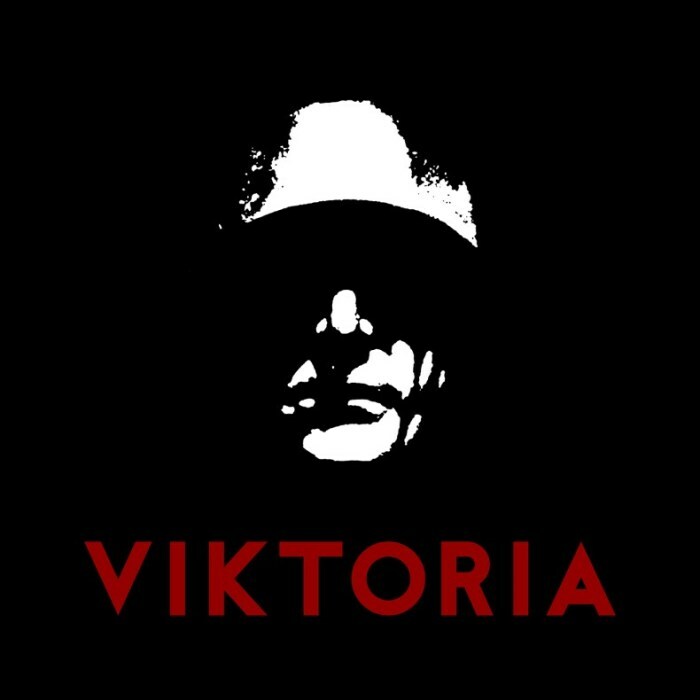 So how does Viktoria fare when compared to prior entries in Marduk’s vaunted discography? Album opener ‘Werwolf’ kicks off to the sound of blasting drums and an air raid siren. Mortuus spits out the first lyrics, and it’s all systems go. Drummer Fredrik Widigs easily makes this track his own and proves why he’s possibly Marduk’s most valuable acquisition in recent years. His drumming absolutely speeds this one along. Add in a few tortured, shriek-like chants of the track title, and Marduk are off to a burning start. Next up is ‘June 44’; Mortuus grabs hold of the listener as his howls take their place amid guitarist Morgan and bassist Devo’s violent riffing. This track rips, and is unrelenting. The use of semi-clean vocals throughout really give it one some atmosphere, adding in subtle hints of melody amongst the frenzied chaos. The pace slows as Mortuus commandeers an ending akin to a tank crushing everything in its path. ‘Equestrian Bloodlust’, one of the singles from the album, ups the chaos until a brief pause which really shows how tight these guys are musically. The song kicks back in momentarily without suffering any loss of intensity. Devo’s bass is intricate and prominently featured here, no easy feat considering the trademark intensity of Morgan’s guitars. Marduk’s origins in Swedish black metal really stand out on this one. ‘Tiger I’ starts off with a blistering, lengthened riff before some more creative work from Widigs, leading into Mortuus intoning the lyrics in trademark style. It’s obvious from the onset that ‘Tiger I’ is going to be a bludgeoning exercise in downtempo brutality. It still manages to encapsulate a fair amount of melody, almost feeling like something from Marduk’s prior Serpent Sermon, albeit with the same influences that have pervaded Viktoria thus far. ‘Narva’ opens with an amazing drum fill. Ramping up the pace, but no less intense than the preceding track, Devo shines here again with some deft bass runs. ‘Narva’ finds Marduk at their most war machine-like, steamrolling everything. If its memorable chorus doesn’t get stuck in your head after listening to it, the intense drumming will. ‘The Last Fallen’ feels like the fastest track thus far, utter fury in the way that only Marduk can deliver. There are more hints of the band’s traditional black metal past over the militaristic drumming, which make for a nice change, and a brief respite from which the track roars to its end. Title track ‘Viktoria’ kicks off with a blast of speed, much in the way that 2015’s ‘Frontschwein’ did. Compositionally it differs, but the message is the same. Marduk are here to conquer. Skillful guitar and bass interplay provides the backdrop over which Mortuus vomits out the vocals. The pace slows while he shouts the title of the track, yet for the rest of the song, it is held to a frenetic speed in which the riffs, and vocals increase in utter intensity. ‘The Devil’s Song’ features similar vocal stylings to the opening ‘Werwolf’ set amid an absolutely gargantuan melody. It feels like that this might be the track with the most happening at once, the most variation. With that said, it totally works in that trademark schizophrenic Marduk manner. Album closer ‘Silent Night’ is a foreboding, immense burner of a track. The vocals carry their characteristic intensity and conviction, and the music creates an atmosphere akin to being trapped in a cave, or shrouded in fog. It moves at perhaps an unusually slower pace, but brings the album to an end with Marduk’s trademark intensity. With Viktoria it could perhaps have been assumed that Marduk would have stuck to their typical well-suited formula. They’ve instead chosen to take risks and introduce new elements into their sound, leaving them sounding fresh, but as ferocious as ever. Perhaps some of this is down to Fredrik Widigs’ induction into the band; either way, this album has an energy that belies Marduk’s age as a band.